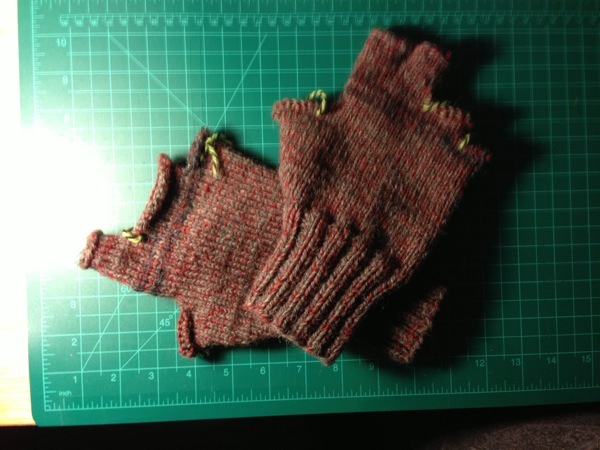 Fingerless Gloves in progress. 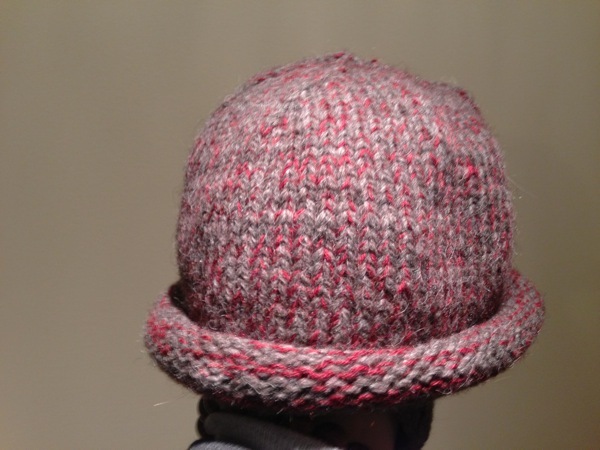 Made by combining a Worsted gray and finger weight red from stash. Matching new hat from the same two yarns. Earlier experiment to change the look of the round top. Socks knit as a gift for Pamela. Start of a pair of sock for myself. I love the sport weight yarn. It is not as tedious as the finger weight yarn and I am able to work it faster and with less mistakes. First pair was chunky, this pair sport weight, maybe next pair will be finger weight…maybe.